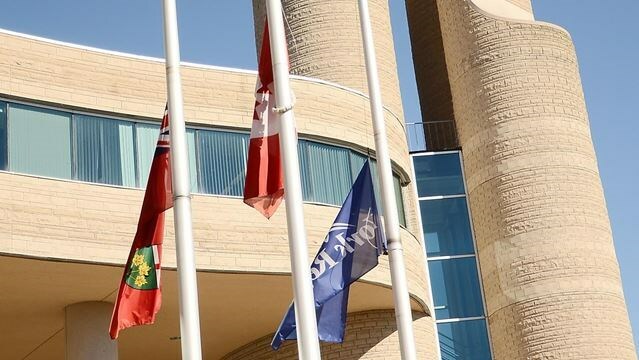 York Region does not have an official flag per se, although the logo is sometimes affixed on a flag or banner against a white background. "The Regional Municipality of York, also called York Region, is a regional municipality in Southern Ontario, Canada, between Lake Simcoe and Toronto. It replaced the former York County in 1971, and is part of the Greater Toronto Area and the inner ring of the Golden Horseshoe. The regional government is headquartered in Newmarket."